Awards In Motion® Arden 9"
The cube spins! The Awards In MotionÂ® Arden includes four etch locations on a tilted cube on a tower. 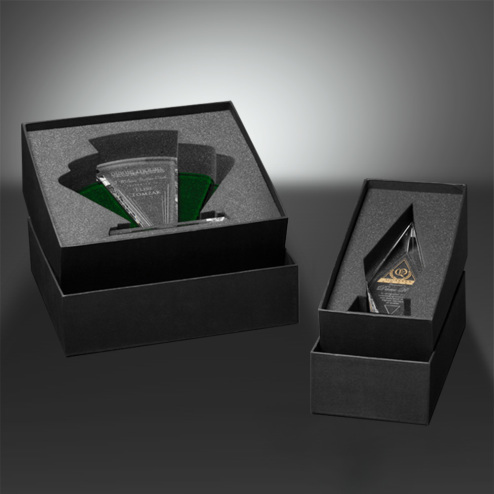 Give your recipient a beautiful one-of-a-kind award!